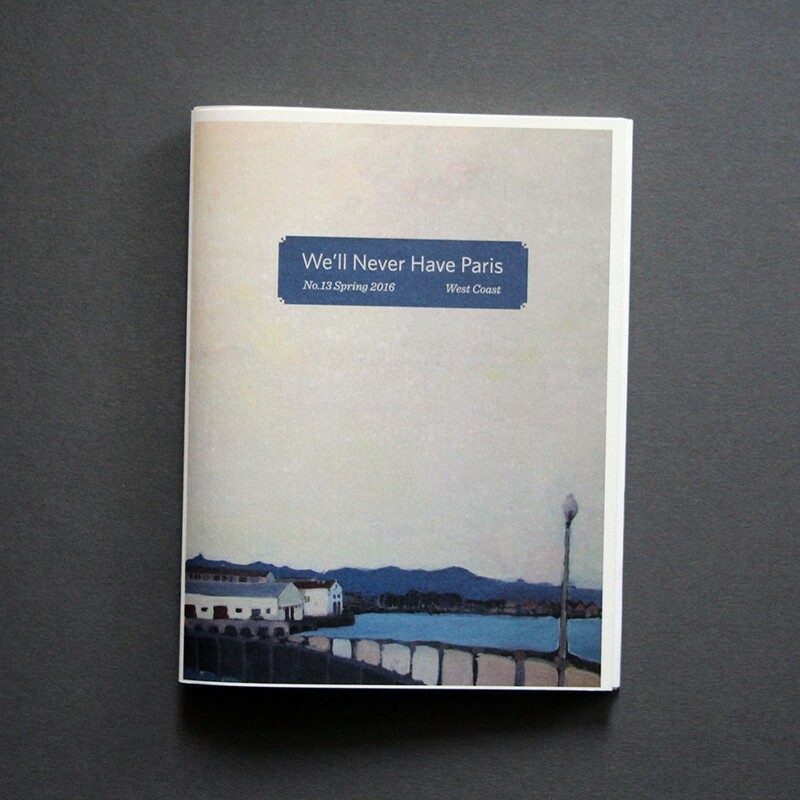 At this year’s inaugural Ottawa Zine Fair I was delighted to meet the charming Andrea Alefhi from New York who edits and publishes “We’ll Never Have Paris“, a tiny (only 4 x 5.5”) but incredibly curated zine of short stories and essays loosely arranged around the experiences of people displaced between the east and west coasts of America. I’m clearly going to have to order and read all the previous issues because this Zine spoke to me in a huge way. I’ll admit I’m probably biased because like so many of the writers, I’ve also hopped around between coasts and felt very far away from home. But impartially, the writing in this book is consistently exceptional and I was caught up in all of the essays. A few notable highlights include Jaime Borschuk’s hilariously guilt-steeped admission of accidentally running down an endangered California Condor on a birthday yurting trip gone awry, a poignant look at a pre-Youtube viral VHS discovery that becomes an obsession for a whole town by Dave Cole, and Joshua James Amberson’s identity crisis behind the wheel of his 1988 Ford Mustang 5.0.